A spectacular 160kmh head-on crash almost brought an end to the final race of the V8 Supercars round at Symmons Plains, before Fabian Coulthard broke through for his second win of the weekend on Sunday. 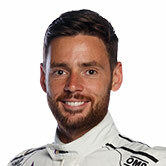 The incident happened when young Commodore driver Scott Pye's brakes failed and he speared into a safety barrier. The car was severely damaged after becoming airborne but Pye emerged unscathed. "I struggled with the brakes and with 25 laps to go the pedal started getting really long," Pye said. "I tried to turn but it just went straight on ahead and I just braced myself for the impact." At the time Ford's Mark Winterbottom was leading but he was passed by Coulthard with just three laps remaining after a restart. Coulthard's victory was his second in consecutive days after he broke through for his first ever official win on Saturday. Earlier on Sunday Jason Bright took his Brad Jones Racing Holden to first place in the opener of the day. Second behind Coulthard in the final race was Winterbottom, who crossed the line with a detached front guard, with James Courtney third. But the series points table is still led by Red Bull Racing's Jamie Whincup, who finished fifth in the last race. 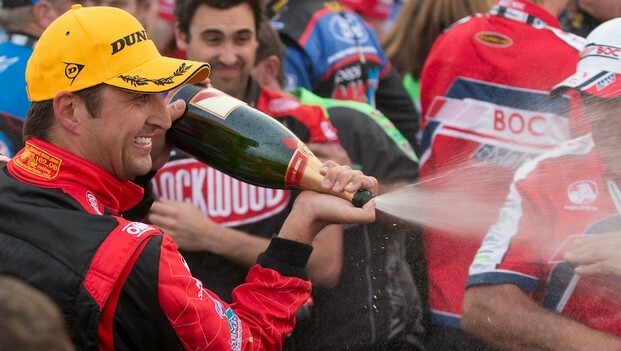 Bright's win was his first V8 Supercar race success in two years. 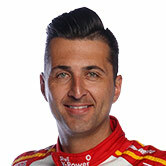 He won the 42-lap run by 3.5 seconds from Holden Racing Team's Garth Tander. Lowndes qualified off the pace and took his Holden home in 10th place. He was 11th in the last race.